Excelvan ET701 is another cheap tablet that we are going to discuss in our Test and Review blog. This 7-inch tablet or as some may call it phablet is a very strange mix of cheap hardware and very good connectivity options which even include a TV reception and built in TV antenna. 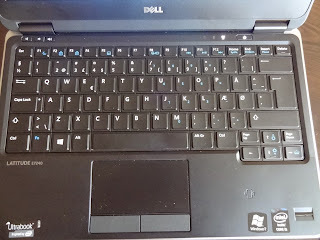 In this review we will take a look at the main features and specifications of the ET701 and explain why you should/shouldn't buy this tablet. The 7-inch 5-point capacitive touch-screen has pretty high resolution (compared to other cheap Android tablets) of 1024 x 600. The tablet itself is powered by an average performing MTK 6577 Dual Core Cortex A8 processor and has very low RAM of just 512 MB. Honestly, I hate it that there are still manufacturers offering their brand new tablets with 512 MB of RAM. I would rather pay $10 extra and have noticeably better performance. I really don't know what is the point of putting so many efforts to make a tablet functional and different from the rest in the segment and than put it RAM volume which was OK some 5 years ago but in today's standards it is a real joke. Anyways it is not all bad things that we are going to say about the Excelvan ET701. This 7-inch 'jewel' has very good connection options including built-in GPS receiver, Bluetooth version 2.1, WiFi connection and 3G. I can definitely say that including the 3G connectivity is one of the big selling points for the tablets in this segment. And here comes the other thing that really annoys me about tablet manufacturers these days - how is it possible that top brands like Samsung, LG, Asus, Acer and others offer their brand new top of the line tablets without 3G connectivity or putting it is an option. Whoever thinks that there is a good tablet without 3G connection is totally lost. Tablets are meant to be portable computing devices with excellent communication options which will allow you to enjoy media and run your business on the go. It is just ridiculous that Samsung offers their wonderful brand new Galaxy Tab 3 tablets with 3G as an option but not as standard. I mean, come on Samsung, get your sh...t together and offer cutting edge technology, other ways brands like Prestigio will kick you off the first place in tablet manufacturing. Anyways, lets get to our Dual SIM Excelvan ET701 which also has some other advantages like the built TV tuner and... antenna. Yes, this tablet has built-in antenna which extends to get you better analogue TV reception. The 3000mAH battery of this Excelvan is not the strongest in the segment but will definitely last for couple of hour of active work. Excelvan ET701 has two cameras on board - one 0.3MP front-facing camera and a 2.0MP rear camera which also has an LED flash. Of course these cameras are only good for video chat and stuff like that. If you want to take some nice photos during your trip in the coutryside you will probably be better whith any $40 Nikon point and shoot camera rather than with any of these two cameras. The operating system that comes preinstalled in the Excelvan ET701 is Android 4.1 Jelly Bean and this is definitely a very appropriate OS for such tablet. You see that no matter how small the Excelvan ET701 is, it really has some interesting things to offer. What impresses me most is the variety of connection options that the manufacturer managed to put in this relatively small device. What really disappoints is the fact that this tablet comes with 512MB of RAM which as I already said is pretty low. And of course as you all may guess all this tablet excellence (...just kidding here) comes at a price and it is pretty reasonable. 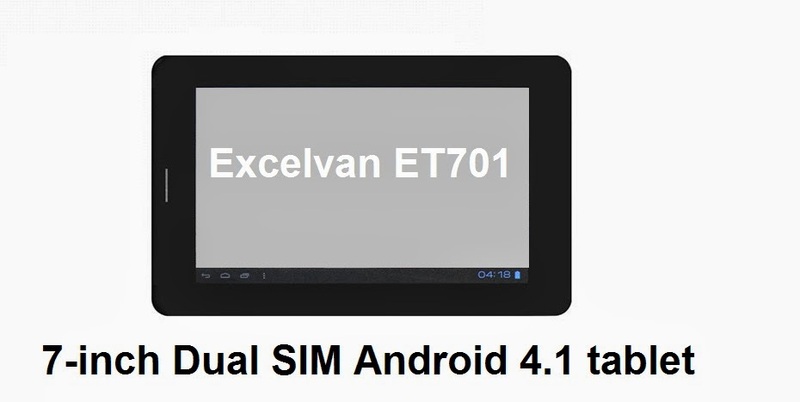 In UK the Excelvan ET701 7-inch Dual SIM Android 4.1 tablet can be found for around £95. I guess in other locations it will be offered around $140-150. You can easily buy this tablet from eBay and Amazon or some other online shops as well. I would also suggest that you take a look at two other very interesting Android tablets - Prestigio MultiPad 8.0 Pro Duo and Sanei N10.